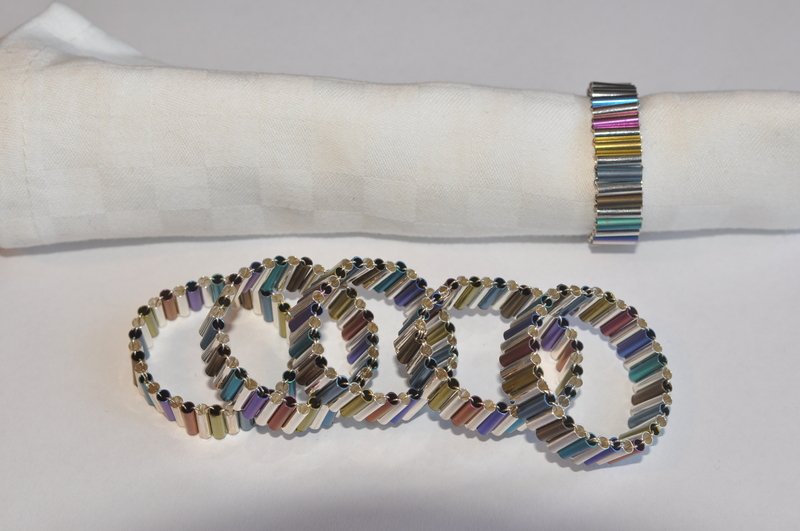 Please note these are made to order and a limited edition. 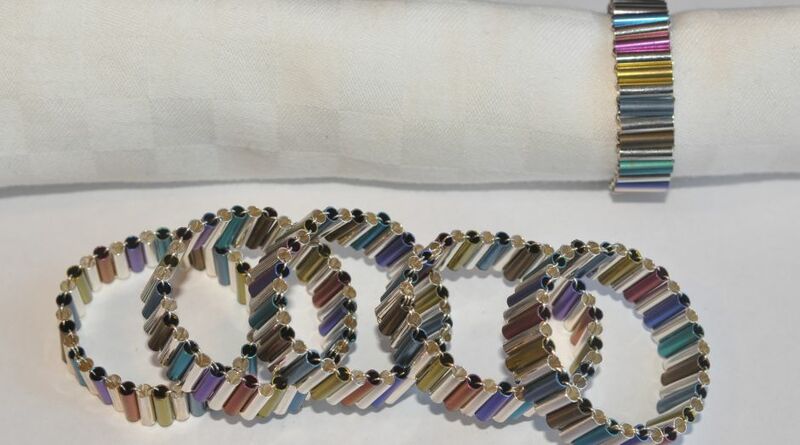 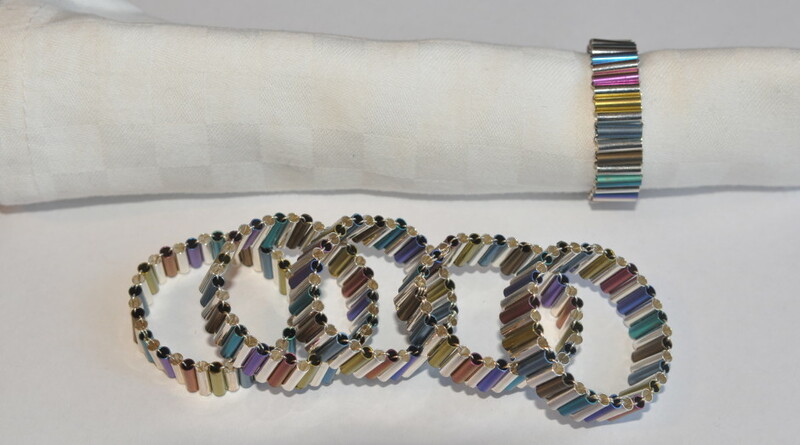 Niobium and silver tubes – 1.5cm in height – held together with a wire to create a beautiful, multi-coloured set of 6 napkin rings. 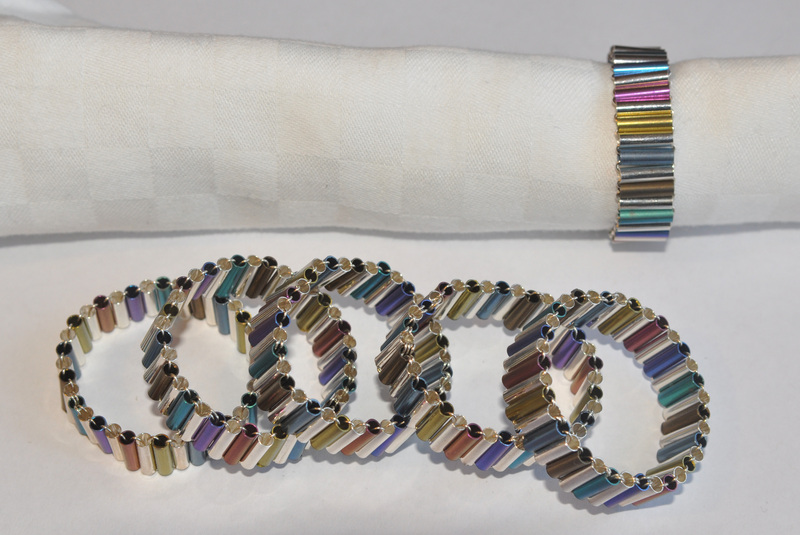 Standard diameter to take a linen table napkin.